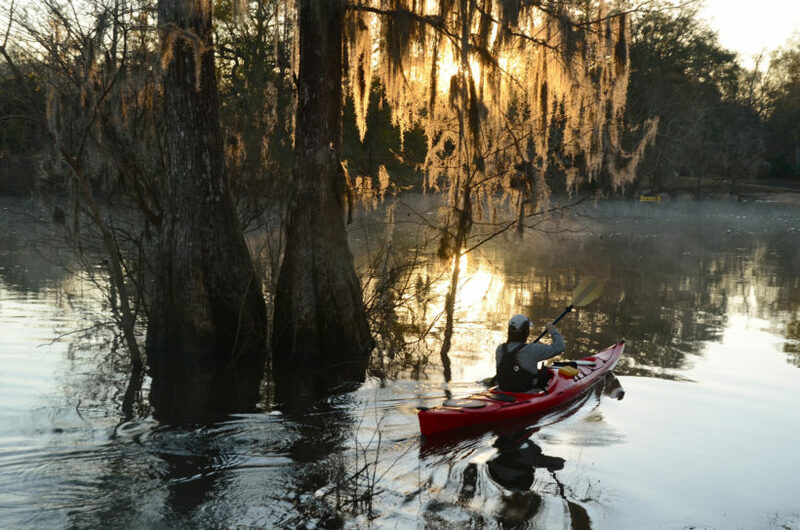 SAVANNAH, GA – June 28, 2017 – Water recreation enthusiasts are encouraged to show off their paddle skills and help raise money for Ogeechee Riverkeeper at the nonprofit organization’s inaugural Moon River Race the morning of Saturday, July 22 at the Rodney J. Hall Boat Ramp (Butterbean Beach), 25 Diamond Causeway. Contestants in kayaks and on stand-up paddle boards are welcome. Race check-in begins at 6:30 a.m. with the four-mile Moon River race starting at 8 a.m. and the one-mile Butterbean Beach race kicking off at 8:15 a.m. Competitors in the four-mile paddle start at Butterbean Beach and will travel up and back down the Moon River, making their way through a well-marked course to cross under the Moon River bridge. The one-mile Butterbean Beach fun race is for beginners and those eager to try their hand at kayak and SUP racing. At 11 a.m., an awards ceremony will be held to honor the following Moon River Race winners: top three female kayak finishers, top three male kayak finishers, top three female SUP finishers, top three male SUP finishers, and the top finisher in each age bracket. The Butterbean Beach Race awards will recognize the top three female and top three male finishers. There will also be a fun, special award for the best-dressed racer from either race, who will receive a gift certificate to the vintage clothing store, House of Strut. Ogeechee Riverkeeper is grateful to the following sponsors for helping make this event possible: Bee Green, Savannah Canoe & Kayak, Ogeechee River Boat Co., House of Strut, Sandfly Bar-B-Q, Driftaway Café, the Georgia Chapter of the Golf Course Superintendents Association of America, Deep South Orchid Society, Clayton Digital Reprographics, and Moon River Brewing Company. Ogeechee Riverkeeper is in need of volunteers to help make this race a success. Volunteer duties include helping time races, aiding racers with loading and unloading equipment, and helping keep racers hydrated. If you are interested in volunteering at this event, please contact Ogeechee Riverkeeper at info@ogeecheeriverkeeper.org or 866-942-6222. This race is limited to competitors age 16 and up. Race entry costs $40 per person. Race entry includes an event T-shirt. Registration closes Friday, July 21. To register, please visit www.paddleguru.com/races/2017MoonRiverRacetoBenefittheOgeecheeRiverkeeper. For more information about this inaugural race or Ogeechee Riverkeeper, please visit www.ogeecheeriverkeeper.org.